Somehow another month has already gone by, which means it's time for me to wrap up my October Remix series. This month I styled my trusty chambray shirt 3 different ways! Some months I have trouble finding 3 relatively unique ways to wear something, but this month was just the opposite. I had so many more ideas of how to wear this shirt! Needless to say, I will probably be wearing it many more times on here in the coming months (hope you're not sick of chambray yet haha). I could never get sick of chambray - I have like a million ideas of how to style it - such a go to piece! I'm loving your looks, but my fave is definitely the skirt! Oh, this last way just might be my favorite–you look fantastic in those strappy heels! You are seriously so beautiful. I love it with the jeans. And girl, you look awesome in these jeans. 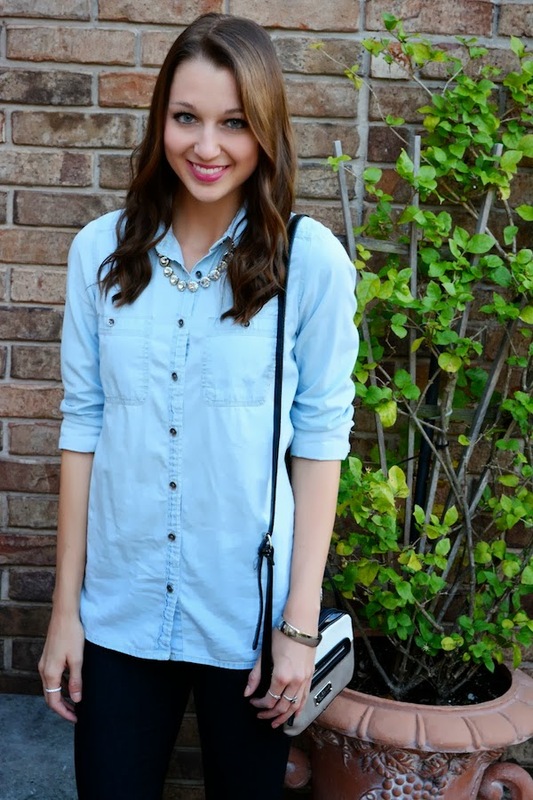 That is such a great chambray top! Love how versatile chambrays are. I love it with the shorts! Ah, chambray is the best. I've gotten an amazing number of uses from my trusty chambray shirt. A Chambray shirt is really versatile. Love the one with a skirt and booties. I invested in a new chambray shirt from J.Crew recently because I no longer liked the ones I had. Best purchase ever. You look gorge in all these looks. Love your bag! It's the perfect size for nights out. I love the shorts and the jeans in that order.. you look slim (duh!) and super pretty.. I wish I am young again and of course, slim! How has another month gone by? And where have I been LOL! I love this chambray shirt sweetie, especially teamed with those gorgeous denim cuffed shorties! Hi Jacy, such a cool look, love your Steve Madden heels! Gosh you are GORGEOUS! Love the double denim look! These are such cute ideas! I love them all but I think my favorite is chambray with the printed skirt! Soo pretty! 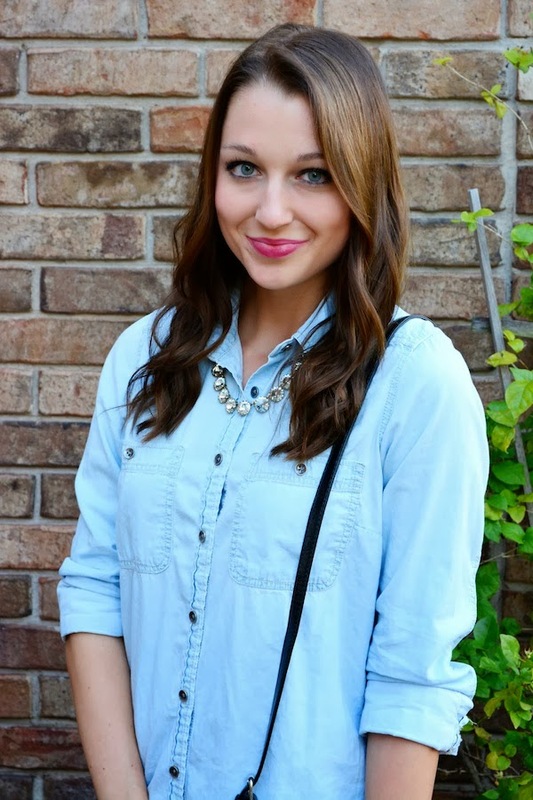 I love it all the ways you styled it ;] I think I need that Jcrew necklace…. I love your style so much and you are so so pretty! Fabulous blogging...I love it!